Empower yourself, take life into your hands, alter your destiny. The objective is to find and release information/items to self empower. Ajahn Lao also known as Ajahn Chalao, is a true Sak Yant and Wicha veteran. With over 30 years of practice under his belt he is one of today's most sought after Sak Yant masters by Muay Thai practitioners, local Thais and foreigners alike. He was born in Rayong Province, East Thailand. 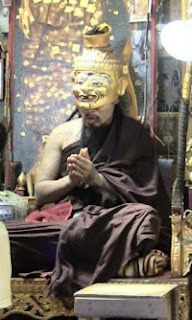 He was ordained as a novice between 16-19 yerars old as a monk twice between 20-23 years old and 28-37 years old. Whilst he was a monk he studied Pali and graduated a highest level of Pali certification. He has a keen interest for Wicha and seeked out true masters who were able to guide him in yantra creation and sak yant. He studied under many famous masters such as Luang Phor Sawai (Wat Sapansi, Rayong), Luang Phor Tong Dum (Wat Huway Prab, Rayong) and Luang Phor Pon (Wat Bangna Nai, Bangkok). He has practiced in Singapore, Malaysia and has a following in these countries and well as far away as Australia, Taiwan and Hong Kong. The photos I had seen of AJ Lao held no resemblance to him at all, hence when I first saw him at his Samnak, I paused for a moment wondering if whether all my efforts to seek him out were in vain. When I ventured closer to him I realised he just looks really young in his photos I've seen of him and indeed I had the right person. He has a firm loud voice and was welcoming. After asking us where we were from and a little chit chat, he recommended us what Sak Yant he thought would best suit each of us after discussing briefly about us our occupations and what we wanted from the sak yant. Not all ajahn's do this and I was immediately well pleased by his professionalism and dedication. It made the decision of what sak yant to get easy, because he explained what each yant meant where would be best to place it on the body. One of my friends who came along for this trip was from Hong Kong and has never experienced Thai Buddhist occult practices but he nevertheless was bent on getting a sak yant before leaving Thailand. After he tattooed my friend using the Mai Sak he started blessing the yant on his body. Something unexpected happened to my friend and he started to go into khong khuen ‘spiritual trance’ during the blessing process. Mind you he has never seen people go into trance before, hence had no reference to fake it. After he came out of it, he said it just felt natural. Then my other friend started his tattoo. During the process he started laughing uncontrollably, something we all found very amusing but it wore off towards the end of the sak yant process. During the blessing process he too felt intense heat and went into khong khuen. Soon after came my turn. I chanted the Namo Tassa katha 3 times before Ajahn Lao started. I was given a mantra to chant in my mind with every breath in I took. As AJ Lao started the sak yant procedure, the first time he placed his index finger in the area of my skin where the sak yant was to be placed and started chanting some mantras, I had a strong feeling of heat penetrate my skin in the surrounding area where the sak yant was to be tattooed. He then proceeded to tattoo using the Mai Sak (Traditional steel rod used in Sak Yant). I then started breathing in and out purposefully chanting the mantra I was given in my mind. As I progressed doing this with my eyes closed, concentrating on the mantra intensely, I gradually felt my head getting a little lighter, it was as if I was in deep meditation and almost falling asleep, the pain from the Mai Sak pricking my skin disappeared and I was in my own transcendent space. The interesting bit came soon after when I felt like naturally nodding my head up and down and so I gave in to the feeling and kept concentrating on the mantra in my mind, then from some unexplainable reason I started to snicker and then it got louder and broke out into a loud low raspy laugh. I felt like stretching out my right hand stretches out in a pointing position and my left hand felt comfortable behind my waist in a fist. Mind you, I knew what was happening but I was so peaceful in my own space that I didn't really mind what was happening. I knew what was happening but I let it happen naturally and did not fight the feeling. I like to think that I am a logical person and although I have seen people who into Khong Khuen, I wasn't really sure if they were faking it or it was real. I am sure there are people who might not feel this during a sak yant and then I'm sure there are those that fake it too but as for me it felt pretty real. Anyway, after that. Ajahn Lao went beyond the usual process just giving us a sak yant. He decided to give us each a complimentary wealth enhancing ritual blessing. Even during this process I could feel an energy surge through his hand into my hands. Intense heat on my head was felt when he rubbed the gold foil into my forehead. The whole experience at AJ Lao’s samnak was interesting to say the least. Not all masters have the ‘barami’, cultivation level to excel in this practice and neither do they have the background training to be effective in the practice of Sak Yant or amulet making. Ajahn Lao was a monk for many years of his life and now is a layman master and has been practicing for over 30 years. His son ‘Phet’ should be next in line and is steadily increasing his practice and skills in the ancient art of sak yant and has even had calls to sak yant overseas. It’s good to know the future of AJ Lao’s lineage is secured. Ajahn Lao is a living grandmaster and today one of them foremost renown authority in Thailand for Sak Yant, the other living grandmaster being Ajahn Thong Talad Plu. Ajahn Lao has ardent followers as far as Australia. AJ Lao has practiced in Singapore and according AJ Lao he lived and worked in Ipoh, Malaysia for close to ten 10 years hence he was able to speak a little bit of Cantonese to us during our visit. I know for a fact that he does make visits to Johor Bharu and Singapore to attend to his devotees there regularly. 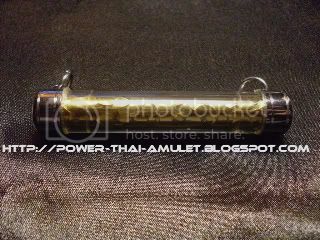 Price of sak yant: *** (3/5) One Rahu Sak Yant (approx width 22cm length 15cm) set us back THB3000. Quality of Sak Yant, ie line quality, design, shading: ***(3/5) If he chooses he can make the lines connect giving a nice finish which we saw on some of the local devotees however for two of my friends he used the ka pla method which is the traditional dotted finish. This amulet is a little powerhouse. Carved from special selected holy wood and yants drawn on it to give live to this amulet. 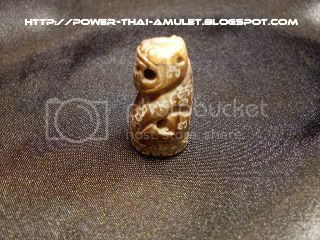 Tiger amulets as such as known to imbue the characteristics of the Tiger on its wearer with properties of kongkrapan, klew klad, and chokelarp. The amulet also helps to protect from evil entities. This amulet bestows the wearer with protection from harm and imbues good luck. 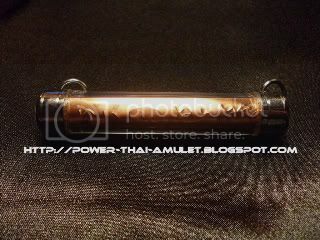 A special ceremony by AJ Lao has been conducted for this amulet to imbue the power of the tiger to its wearer through the amulet. This amulet is aimed at the following: Avoid danger, bring forth wealth & luck, overall protection and fearlessness. This amulet was designed for the purpose of khong krapan (invincibility to sharp objects) and klaew klad (avoidance of danger) and also has the effect of maha lap (good luck). Everybody needs an amulet like this to protect themselves, we never know when something dangerous is going to happen to us. It is better to be prepared and protect ones self. Most people go for amulets that bring wealth an forget to look at other aspects of protection from evil spirits and klaew klad + kong krapan. This amulet gives you a double bonus in that in protects as well as enhances. It couldn’t get any better. 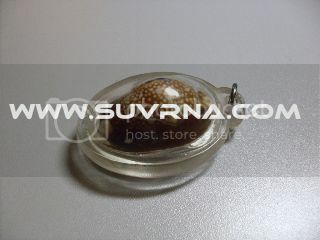 It is light in weight, beautiful to look at and will enhance any necklace. As we know AJ Lao is a master of sak yant. He hand wrote the yants on this takruds himself and blessed them arduously for many months. It was only given out to his looksit but now you have an opportunity unlike any other. I rented all of the stock from of thes takrut on your behalf, there aren’t anymore left at his samnak. Don’t miss this opportunity once it has been rented out we won’t be able to get anymore. Bia Gae or Bia Kae are rare sea shells that are known to repel evil spirits and bring forth good luck to its wearer. In Thailand they consecrate these shells and fill them with mercury which is supposed to repel evil spirits. 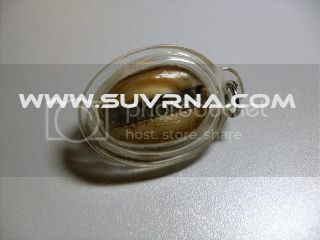 Treated mercury is also used in India to make Shiva Linga and amulets as such. This Bia Gae has a takrud embedded on its behind as visible in the photo. The takrud or rolled talisman with holy inscription on is to aid the efficacy of this object which has been arduously blessed and meditated upon. Only one of this item was left at his samnak and AJ Lao allowed us to have it. This is a very precious object from a true master or masters. 1) To remove negative entities from around you, to ensure that one is protected from psychic attacks and/or black magick. Ajahn Thoy of Wat Thong Nai is a young but powerful and renown magick master. Especially amongst foreigners he has become the Ajahn of choice but also many locals alike seek his help on a daily basis. His Samnak even on a week day has people out waiting to see him. He is renown for his SakYant skills. Sak Yant are Spiritual Tattoos renown for their very powerful spiritual effect. Sak meaning to tap or poke and Yant coming from the Sanskrit word Yantra. I have seen first-hand people going into a trance or possession while Ajahn was chanting blessing them after tattooing, honestly I don’t’ think they were faking it. I myself have felt the power of his Sak Yant and it is something that is hard to explain, except to say it was a powerful experience. 1) Do not place the amulet at the bottom edge of your bed or anywhere the bottom of your legs are facing. In Thai, and most other Asian cultures showing the sole of the feet to elders or people of respect is considered disrespectful, the same applies to Thai amulets. Also do not step over the amulets this is a sign of disrespect.